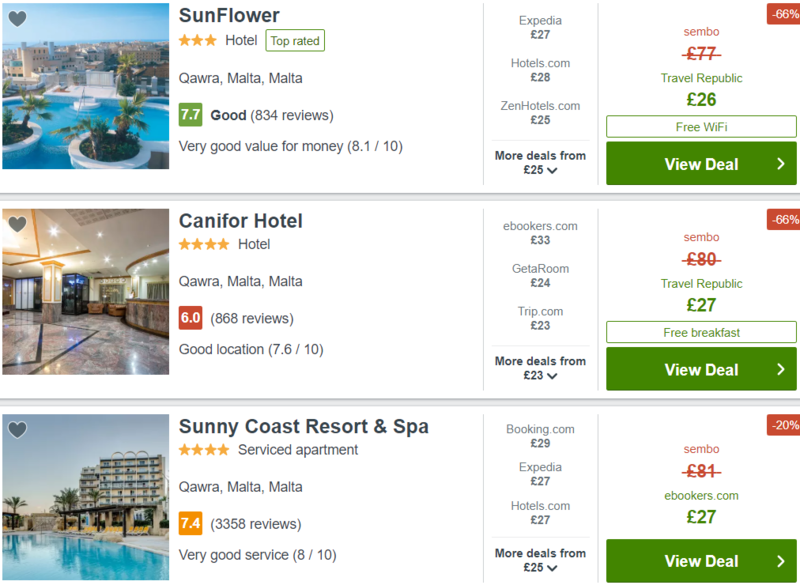 A 4-night December trip to Malta for £64 per person, with flights & 4* hotel included! Check out this short December holiday in Malta that will allow you to escape the gloom of late autumn! This £64 package includes a return flight from London Stansted and accommodation in a 4* hotel for 4 nights! If you prefer to look for your own accommodation, scroll down for a list of flights only. Book your tickets at Ryanair.com. The fare includes hand luggage only. Previous articleFly to southern Portugal for just £29 return! Next articleFly to Costa Brava from across England for just £26 return!